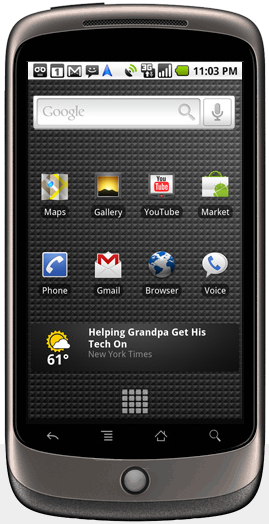 There already has been a lot of speculation about the Google Phone - The Nexus One about which we had already told you last year. Now that the phone has finally made it's debut, let us have a look at this phone. Here are a few videos from the Press Coverage Event by Google. You might like to read some more stories and see some more pictures of the Google Nexus One. Apart from the videos shown here you can also see more videos here. Video Courtesy: Youtube & Slashgear. More Must Watch Videos here.